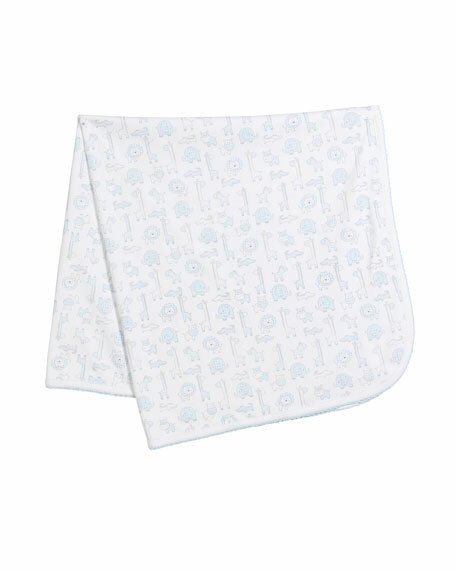 Kissy Kissy baby blanket from the Jungle Out There collection. In 1995, Kissy Kissy debuted as a fine layette collection made from Peruvian Pima cotton. The line is known for its ultra-comfortable clothes and signature prints, making its baby essentials anything but basic. For in-store inquiries, use sku #2665367.